Hatha yoga aims to strengthen and tone the body as well as free the mind from distraction. Hatha represents the duality in life yin and yang, masculine and feminine, darkness and light. The Sanskrit word is made up of ha, which represents the sun, and tha, which represents the moon. Hatha yoga joins these dual forces; it is the yoga of physical well-being, designed to balance the body’s opposing forces. Hatha was originally intended to stabilize and relax the body in preparation for long periods of sitting meditation. Perhaps hatha has been so popular in the West because it is concrete and less spiritual. One can actually see and feel the body in asana and see its progress. 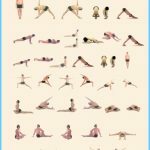 The Iyengar Approach to Hatha Yoga details benefits of hatha yoga as well as answers a number of frequently asked questions.